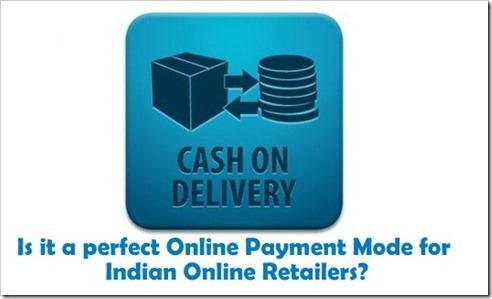 Cash On Delivery (COD) is currently one of the most popular mode of payments among Indian online stores. As the buyer does not have to pay anything before the good are being delivered, COD system minimizes the risks in online transactions for the buyer, preventing buyers from being scammed by malicious sellers. The system is beneficial as it reduces the skepticism and apprehension of the Indian people towards engaging in online transactions. COD has also proved to be quite beneficial to buyers in circumstances where the item which is delivered is not exactly what they ordered. In such circumstances, the buyer will simply return the item, without having to wait for refunds. 1.2 Is COD Really the Most Convenient Payment Alternative for Indian Buyers? 2 Do Online Stores Enjoy Any Benefits with COD? 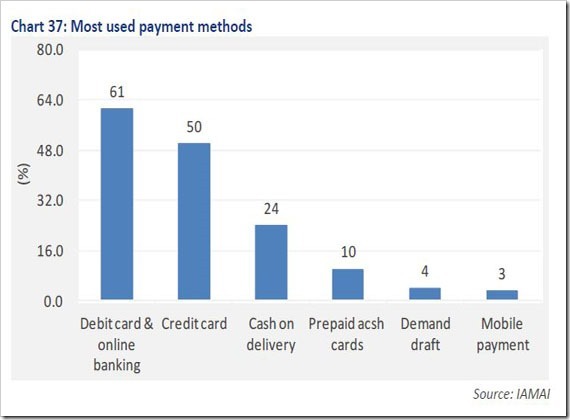 Apart from the Cash On Delivery payment system, other acceptable payment options that Indian people can use for online transactions include the use of credit cards, debit cards and online payment processors. While a good number of Indian online stores accept credit card payments, many still incorporate the use of Cash On Delivery to avoid shutting out potential buyers who may not be comfortable with using credit cards. But especially if you compare the situation in India with what is happening in the West, where credit cards are the most popular payment options, it’s quite puzzling as to what really makes a great segment of the Indian population to want to stick to COD. 1. A huge population does not have access to alternative payment options like credit cards and debit cards. Payment systems in India are not as developed as that of many countries in the West. Therefore despite the fact that a considerable number of people have credit cards and debit cards, a larger percentage of the population don’t. To a seller this means that without incorporating the COD option, you will have lost out on more than 50% of the population who could have been your potential customers. 2. It is an easy technique of beating competition. A lot of ecommerce businesses have been springing up in India in the past few years. Competition has therefore become stiff and COD is one of the techniques that some businesses are using to stay ahead of their competitors. Essentially it’s the difference between life and death for many of the small businesses. 3. The high preference of COD also arose from the fact that there had been many complaints about online sellers delivering different items from what they had ordered and already paid for. As a result, most buyers now prefer to only pay for items that they have physically seen and are satisfied with. 4. Although the Indian population has started developing a level of trust with online transactions, they are yet to develop complete trust for online sellers and many are still afraid of being scammed. 5. The conservative nature of the Indian people; they are accustomed to buying products that they can see, touch and feel due to their experience with the conventional brick and mortar stores. Most of them expect the same from online stores. Is COD Really the Most Convenient Payment Alternative for Indian Buyers? 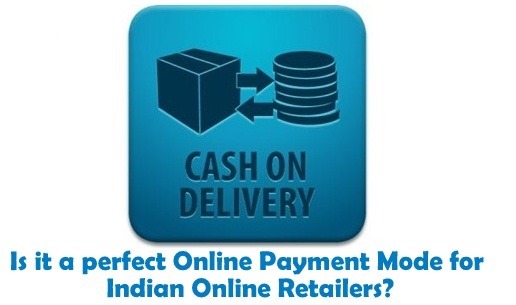 Due to the widespread incorporation of Cash On Delivery system among Indian ecommerce businesses, there has been a great misconception that COD is the most widely used payment option among Indian online shoppers. On the contrary, recent studies conducted by IAMAI have shown that COD comes third place in terms of usage by Indian buyers. Debit cards and credit cards occupy the top positions. This means that more and more Indians are becoming comfortable with idea of using credit cards and debit cards as we speak. Take note that Cash On Delivery is also inconvenient to buyers to some extent because it for instance, forces the buyer to be present (at home) at the time of delivery. Not only is this expedient but also triggers delays in delivery because merchandise cannot be left at the neighbors place if, for some reason, the buyer had commitments elsewhere. Also cash transactions sometimes pose change problems, which may further delay transactions. Think about it, if Indian people had such a high preference for Cash On Delivery, why do they comfortably use online payments when dealing with travel portals? Statistics show that the two main factors that make Indian people to be more reliant on COD are: fear of being scammed and doubts that they may receive unsatisfactory products while they’ve already made payment. Therefore seeing and being able to touch products is not really the motivating factor that makes Indian people to have a special liking of COD. Do Online Stores Enjoy Any Benefits with COD? Given a choice though, most sellers would not really vouch for Cash On Delivery. But like any other modes of payment, COD has its fair share of pros and cons for sellers. 1. Powerful marketing stunt – statistics show that over 80% of the Indian online stores use COD as a marketing stunt. Sellers understand that the Indian people have extreme preference for Cash On Delivery and are now using that as way of making themselves popular within the Indian market. Statistics reveal that online stores that provide COD have more customers than those that don’t. So if you are starting a new online store, providing COD can be a great way to market yourself in the Indian market. 2. Win trust and gain customer loyalty – Indian buyers often have a higher level of trust for sellers with the Cash On Delivery option and will be willing to buy items from them over those that don’t. 1. Some customers change their minds about a product when you have already done the necessary shipping and delivery. The seller at this point will have already incurred transportation costs which accumulate to a loss for the ecommerce business. 2. The business representatives will be handling a lot of cash through the COD system unlike in the use of credit cards. This can easily lead to theft if the right security measures are not in place. 3. When partnered with a courier service, it usually takes a longer time before the money collected through COD is transferred to a seller’s account, whereas credit and debit cards are instant. 4. Cash receipts make it rather difficult to determine the correct cash inflow and outflow figures and balance records. At the moment, there is no other payment option that is readily accepted or preferred by the Indian people like Cash On Delivery. However, credit and debit cards have more benefits to ecommerce businesses compared to COD. As a result, it is important for online Indian stores to come up with ways that they can encourage Indian people to shift from mainly relying on COD to using online payment options. One of the best ways to do this is to gain the trust of Indian shoppers. This they can do by always providing quality products and generally keeping their promises when dealing with customers. 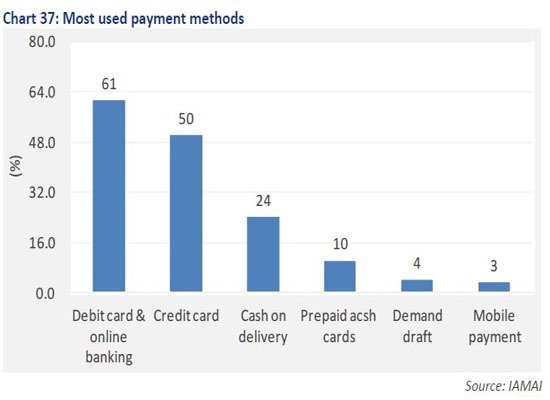 Seeing to it that products are also delivered quickly to buyers after payments have been made can equally reduce the apprehension towards online payments. Indian ecommerce businesses should start offering incentives for online payments to entice Indian shoppers to give online payment options a shot. This is what will gradually wash off the fear of paying for products online and with it the high preference for Cash On Delivery will fade away, at the advantage of Indian online businesses.